Many of us often think that snoring is just a simple annoyance that our partner might do at nighttime. While not all snoring is harmful to your health, it could be the first sign of a bigger problem—obstructive sleep apnea. Severe snoring can cause an array of problems, including sleep disturbances for the snorer and other household members as well as walking episodes. 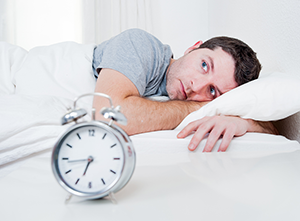 Snoring does not always result in sleep apnea, but chronic snoring may indicate an underlying sleep disorder. Left untreated, sleep apnea can increase risk of high blood pressure, heart attacks, diabetes and car accidents due to sleepiness while driving. Central – the upper airway is open, but no oxygen is getting into the system. Obstructive – the lungs and the diaphragm are functioning normally, but no oxygen is entering the system because there is an obstruction in the upper airway. Mixed – this is a combination of central and obstructive sleep apnea. In September 1995 the American Sleep Disorder Association endorsed oral appliance therapy as the third currently acceptable treatment modality for snoring and sleep apnea. The largest number of patients suffering from obstructive sleep apnea is in the mild to moderate categories and should be treated with oral appliances. Snoring, often times a symptom of sleep apnea, is caused from the vibration at the back of the throat, and dental appliances can sometimes help to minimize or eliminate the problem. In these instances, diagnosis is vital because snoring alone does not automatically signify a serious problem. For basic snorers, a dental appliance can provide relief because it is designed to reposition the jaw, muscles, tissue and tongues. The appliance is used to help breathing become less labored, giving a person more room to breathe quietly. With the help of your dentist in Chandler, AZ, your snoring and sleep apnea can be treated with the use of dental devices to open your airways. No longer do you have to lose sleep over snoring or sleep apnea. Consult your Chandler, AZ dentist for diagnosis and treatment options to alleviate your symptoms.